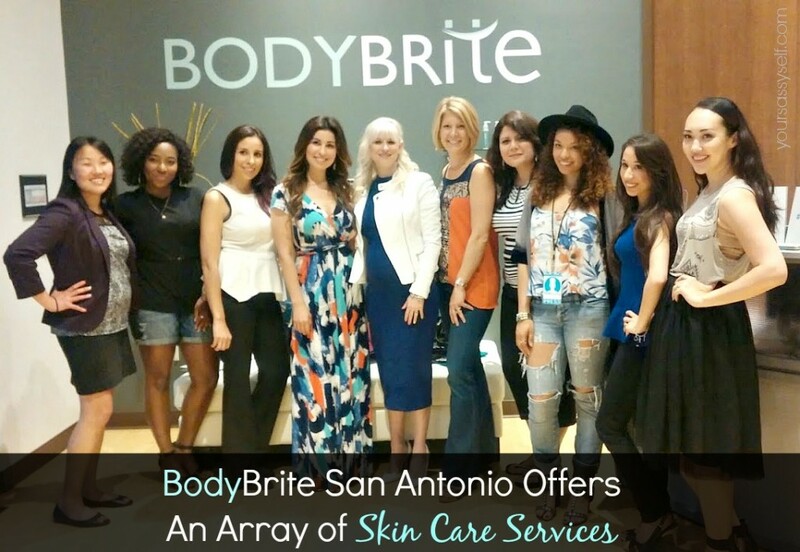 Recently I was honored to attend an exclusive skin care event at BodyBrite San Antonio. 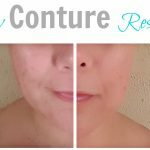 In case you hadn’t heard of this fab spot, BodyBrite is located at The Shops at La Cantera and is a non-medical beauty spa offering an array of skin care services. And we were definitely pampered with a few of these amazing treatments during the event. 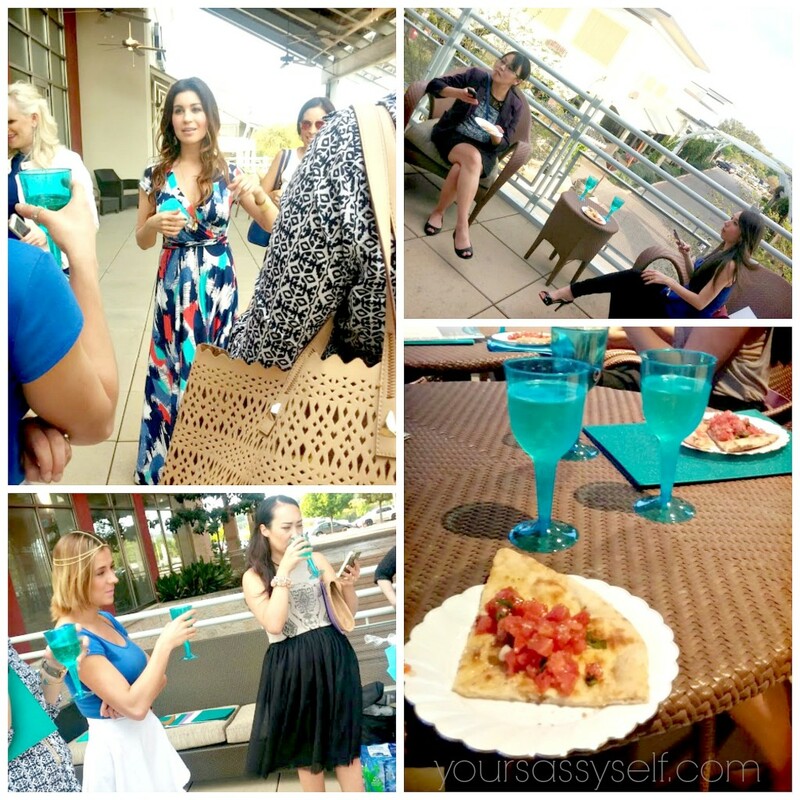 First, we were invited to the head to the terrace to mix, mingle and enjoy some fab eats and drinks as we learned more about the services BodyBrite San Antonio offers from owner, Crystal Holmes. 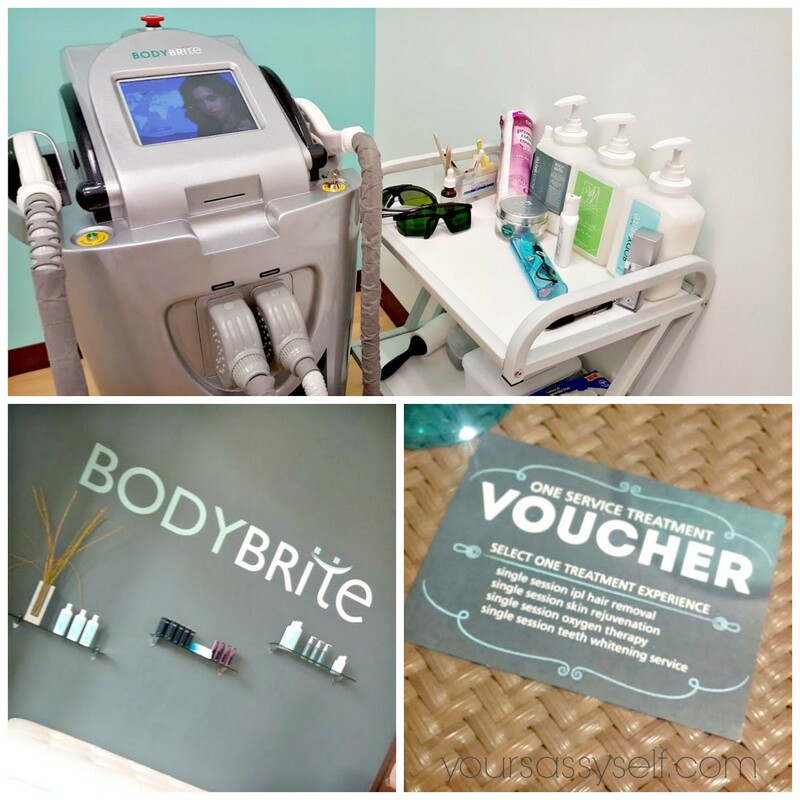 Then we were invited back into the BodyBrite suite to begin enjoying some of the fab services. And I must confess, I arrived at the event with some whacked out eyebrows. I had over plucked them (raise your hand if you feel me) and then had to let them grow back every which way possible so I could get them shaped again. Thankfully, brow threading was one of the services we were treated to that night. And thanks to Erin – BodyBrite’s Threading Queen – I, along with several of my fellow bloggers left with our eyebrows on fleek. And the best part, no pain or redness you may experience from waxing. I’m officially converted. 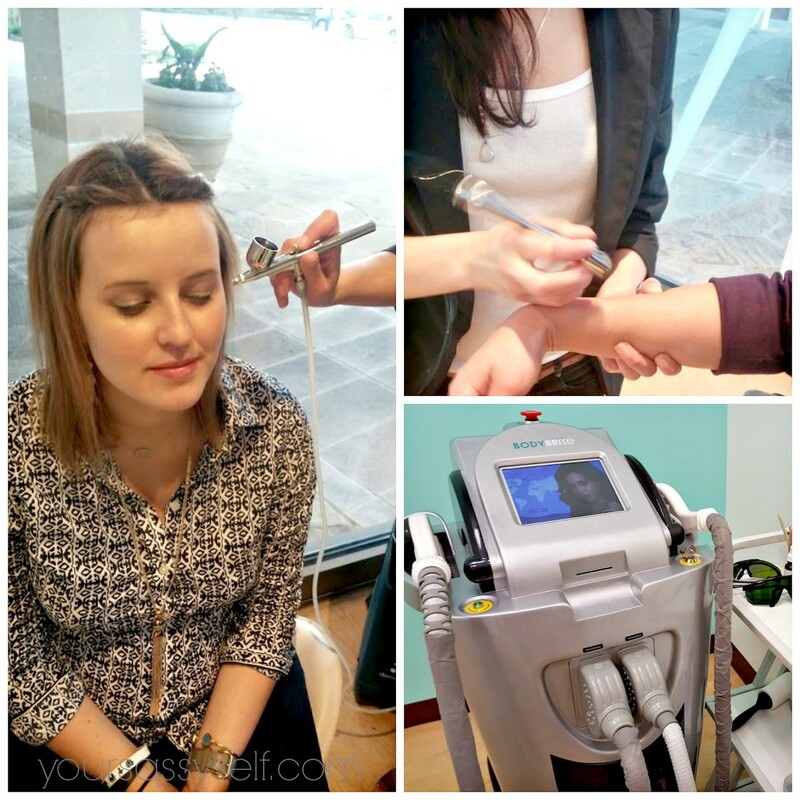 Next, we got a chance to experience demos of their Oxygen Facials, Microdermabrasion and IPL Hair Removal. 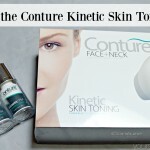 I even won a skin treatment of my choice that night and recently returned to get my skin rejuvenation treatment on, which was also done with the IPL machine. It was done rather quickly and left no redness. Pretty cool. And these aren’t all the treatments available at BodyBrite San Antonio. 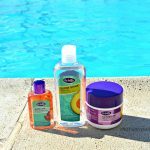 So check them out for yourself and I’m sure they’ll have the perfect treatment for your skin care needs. 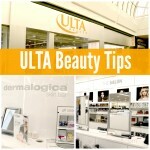 What skin care services have you tried or are you looking forward to try at BodyBrite San Antonio? 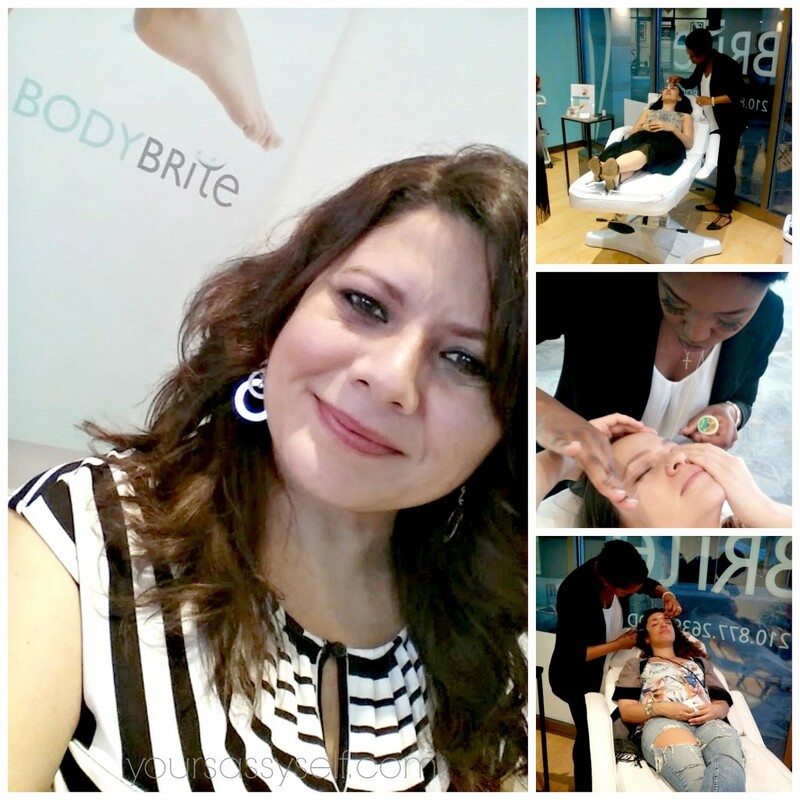 Thanks BodyBrite San Antonio for sponsoring the event and the skin care treatments, however all opinions are my own. So glad you were able to come out and join us!